The supermassive black hole (SMBH) in the middle of our Milky Way galaxy, Sagittarius A *, is by far the closest such object to us, only about 25 thousand light years away. 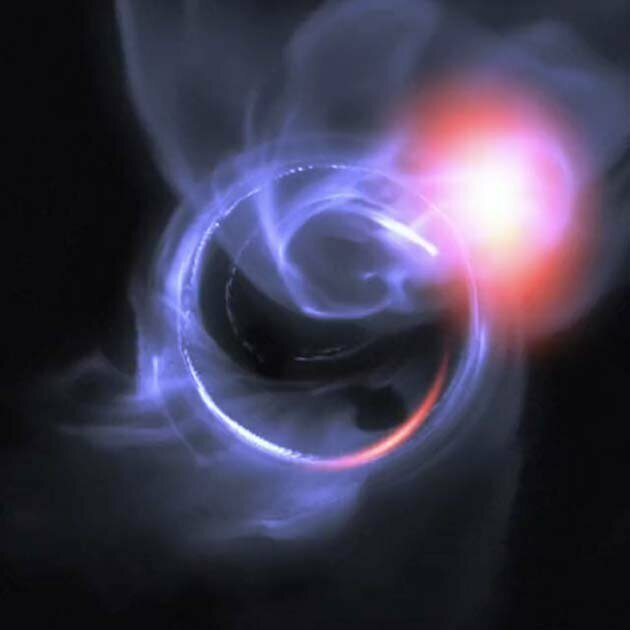 While it's not nearly active or luminous like other SMBHs, its relative proximity gives astronomers a unique opportunity to explore what's happening close to the "edge" of a black hole. Monitored in the radio since its discovery and recently in infrared and x-ray, Sgr A * seems to be accreting material at a very low speed, only a few hundredths of a soil mass per year. 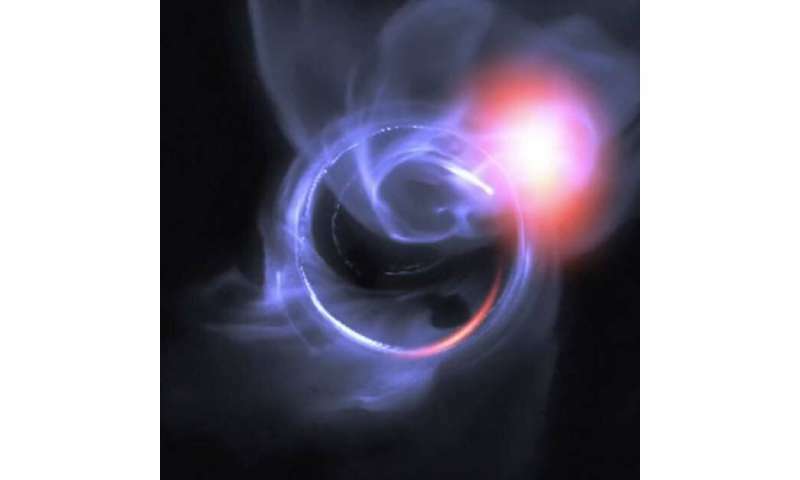 Its X-ray emission is sustained, probably due to the rapid movement of electrons in the hot accretion current associated with the black hole. Once a day there are also flares of emissions that are very variable; they occur more often in infrared than in x-rays. Some submillimeter wavelength glare is also gently associated with IR flares, although their timing seems to be delayed in infrared events. Despite these intensive observation efforts, the physical mechanisms that produce flaring around this SMBH are still unknown and are subject to intense theoretical modeling. 00 hours of data over four years (the longest data set ever achieved), the team observed four multi-incident events in both X-ray and infrared, where the X-ray event appears to be infrared by ten to twenty minutes. The correlation between the observed peaks implies that there is some physical connection between them and the small time difference is consistent with models describing the apertures due to magnetically driven particle acceleration and shock. However, precise simultaneous events cannot be completely ruled out, but the results are nevertheless incompatible with some of the more exotic models involving relativistic movement of electrons. If future simultaneous observations planned for the summer of 2019 also see flaring, they may give new limitations to the time delay and associated physical models.